Enough With the Prequels, Already! The tepid critical and commercial reaction to this year's God of War and Gears of War prequels will hopefully send a message that I've been wanting the powers that be in all of entertainment to receive for years: Many of us who like a thing don't care about what happened before whatever happened in the thing we liked. Prequels, who asked for them? For all the grumbling that sequels represent some sort of bankruptcy of imagination in video games, Hollywood and Presidential terms, I'll happily take a part two or even a part five over a part zero. I'll even take a remake if that can spare me the backfilling and shoehorning that is the seldom-entertaining prequel. It's not that I don't care why Kratos really is angry or how that guy got his scar or what her mom was like as a kid or who built C3PO, but, really, you could tell me in a Tweet and I would be A-OK. I don't need to see it. I have no desire to pay money for it. Sadly, we are living in an age of prequels that waste everyone's time and that seem drenched in desperation. We are in the time of The Hobbit, an old book turned into a new movie a decade after the books that followed it already were turned into movies. Surely, people who enjoyed the Lord of the Rings movies and who were dying to know the back-story had time in the last 10 years to just go read about it. Surely, the filmmaker behind the Rings movies didn't just want to return to his greatest success and stretch it into that second-shadiest of marketing gimmicks (after prequels): the trilogy. The prequels that aggravate are the ones answer the already-answered questions. We are in the age of Before Watchmen, the prequel to the most popular graphic novel of all time. This prequel, published over the objections of the original's author, is a sprawling mediocrity. It's also a prequel to a book that was itself a remix of earlier work, a testament to the triumph of a re-thinking over a re-milking. The talented creators DC Comics enlisted to create Before Watchmen bandied together to produce blandly-written if occasionally beautifully-drawn stories that fill in such irrelevant blanks as why Watchmen's smartest man in the world has a mutated cat and which sexual dysfunction plagued the second guy dressed as the owl. The Before Watchmen prequels are, collectively, three times as long as the better work they anticipate. I'm not sure if they're a third as good. 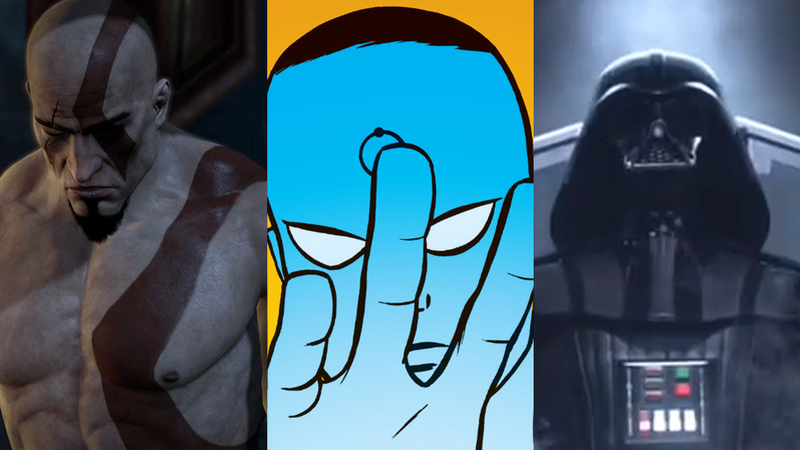 In gaming, the prequels are coming fast, furious and mostly full of disappointment. God of War Ascension, which I played through in March, tells fans a little more about why Kratos is sad about his wife, but the very first God of War explained that quite well already. Gears of War Judgment fills in the back-story of Baird, a character whose background I never wondered about, despite having played all three previous Gears of War games. Was it you who demanded Baird back-story? Lego City Undercover on Wii U was neat. I played it in March. What did April bring? A 3DS prequel. No thanks. This fall, we get a new Batman game. Guess what? Prequel. We're getting a new Assassin's Creed in October. It's Assassin's Creed IV and it mostly takes place when? Before Assassin's Creed III, of course. There have been good prequels. My favorites: Metal Gear Solid 3, Metroid Prime, Halo Reach, Batman: Year One and the Robert DeNiro part of The Godfather Part Two. There have been works that I guess are technically prequels but mask it so well that I hardly notice: Knights of the Old Republic and The Legend of Zelda: Skyward Sword, to name a pair. Even this years's Tomb Raider prequel/reboot was enjoyable. These prequels manage to be good on their own by avoiding an obsession with fan service, by refraining from making constant references that demystify the work they precede. The prequels that aggravate are the ones that over-tell, the ones that reduce the magic of the work they precede by not just explaining how the trick was down but by showing us what the magician had for lunch when he was 14. The prequels that aggravate are the ones that follow a long line of sequels and seem designed to revive a franchise by making it safe for new fans to jump on board (you're starting at the beginning!) and for old fans to trudge back once again (we're going to make references only you, the loyal old-timers will get!). Prequels didn't save the once-great Battlestar Galactica. They didn't resuscitate Star Trek. I enjoy the Clone Wars cartoon, but the net outcome of all the Star Wars prequel material sure feels like a loss. I don't need to see the X-Men young again. I need back-story on any of this stuff about as badly as I need to know what god said before "Let there be light." Actually… I would read a prequel to the Book of Genesis. The rest of the possible prequels out there? I could live without them. It's time to move on.